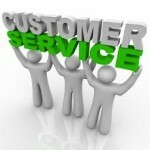 Customer service is a skill that every business should train their employees on. There’s nothing like an upset customer speaking to an employee or representative of a company with little to no customer service skills. A great deal of businesses lose clientele quite frequently due to a nonchalant approach to this issue. Not many companies in the guard industry require or have ongoing customer service training, which is horrible for this profession. Listed below, are a few helpful customer service tips for security guards. A nice, warm smile along with “Hello,” and the Client’s name is a nice start to providing great customer service; even if you are an introvert, a smile puts people in a good mood. Be sincere – most people can smell “fake” a mile away. 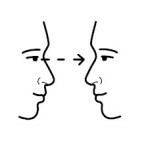 Eye contact is a great indicator that the client has your attention. If you are looking at the ground, ceiling, or to the left and right of the client, how on earth can he connect with you? By doing this, you will make the client feel that he’s bothering you or your attention span is extremely short. Take a few seconds to silence all things around you and focus on the words that are coming out of the client’s mouth. Helpful Tip: Act as if you are the client in this moment. When you are frustrated, annoyed or simply want to be heard, how would you feel if the person you are expressing this to, is busy looking everywhere but at you? It’s never a good feeling being dismissed; always try to put yourself in the client’s place. Contrary to what you may have heard, it doesn’t take long to get to know people. Every chance you get, try to find out more and more about the client – interests, family, occupation; don’t go into investigation mode, instead let the questions flow naturally and be genuine. Start with occupation questions. Ask the client how they got started doing what they do? Then ask them about their down time – what they do for fun when they’re not working around the clock? If you begin flowing back and forth with conversation, ask them about family – if they have kids, if they’re married, etc. Remember to talk as if this is a good friend (not too relaxed), but someone you enjoy being around. Helpful Tip: It’s always good to find common ground and build on that. Example – If you both love the same sports team, music, or enjoy hanging out with family; once you have that information, the conversation can literally go on for hours. *Let the conversation continue on until the client cuts it off. 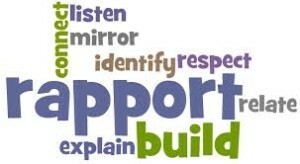 Hear their concerns, complaints, or issues and utilize your active listening skills. Summarize what the client has said to you and ask questions that are in line with concerns, issues or complaints spoken by the client. Helpful Tip: Be present. There is no way you understand someone if while they’re talking, you’re formulating your words to speak. Acknowledge the client’s problem(s); go a step further and express your understanding of the problem(s). Example: the client is upset because the other guard (of course, not you) is being sloppy with performance and appearance. The client elects to tell you instead of contacting guard management and escalating the problem. You tell the client that you fully understand why the client is upset about the guard’s appearance and performance. You add: “We’re all supposed to be making sure things are cohesive on your property; that includes our performance and appearance. Helpful Tip: You must add “urgency” to the equation when you tell a client that you will fix a problem. Never leave any room for clients to believe that they’re not a priority. 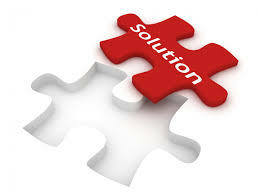 If the client has expressed to you that there’s a problem or concern, let the client know that you will go above and beyond to provide a solution. Don’t just say it, really try to find a solution to their problem. Helpful Tip: If you are stuck and can’t find a way to remedy the client’s problem, contact your employer. 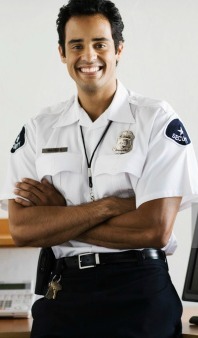 Security guard managers are more than qualified to resolve client issues. 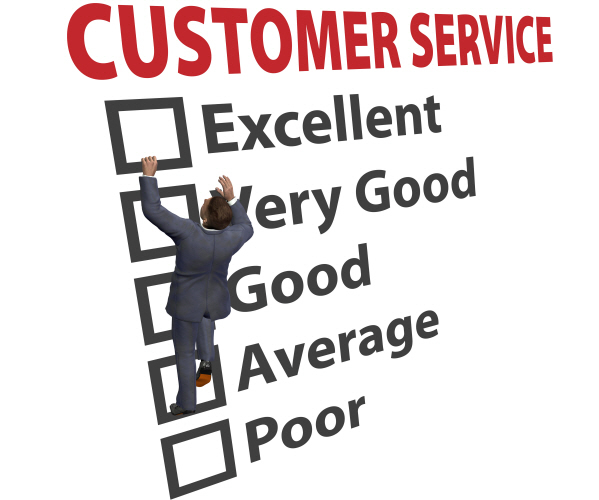 Ongoing customer service training is a must with security officers. If the guard company doesn’t provide it, you should locate an institution that offers it and invest in yourself. If you take heed to these helpful customer service tips for security guards, you will be well on your way to advance in the guard industry. To learn more about client relations in security, click here. Customers are the reason why am employed. Thus I need to know all about customer services. This is great information for those looking to improve their customer service in any area, not just security services. 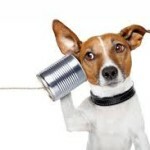 I love that you talked about active listening, and how it is important to feedback what you hear from the customer. 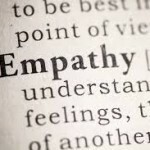 It can make them feel like you are listening, and you care about their problems.